How Can I Go Charlie's Comic Books? Where is Charlie's Comic Books in Tucson on the Map? Charlie's is the only place i ever want to go. He always has a smile on his face when you walk in and knows way to much about comics! I could hang out and talk for days but sadly life gets in the way of comics. Thanks Charlie! See you Wednesday! Charlie's Comics is the only comic book shop I will go to locally. Charlie is the sole employee and he gives excellent customer service. 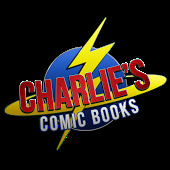 Charlie is involved in quarterly charitable events to benefit local and national organizations, and offers up space for local comic book creators to come, sketch for fans and sell their comics. He has me and my fellow creators at his shop every three months to create original pieces of art for the silent auction and raffle where 100% of the proceeds go towards charitable efforts and organizations. And he always has a great event lined up for Free Comic Book Day. Charlie reads every single comic that comes through his doors to be able to let his customers know which storylines are currently happening and which titles they may also be interested in based on their purchase and subscription history. There are only a handful of comic book shops in town, and each of them has at least a handful of employees, but none of them are as knowledgeable about the product they sell as Charlie. When I let Charlie know I was working on my own comic book, without even knowing the content, Charlie offered me space in his shop to sell my growing titles and stories. He's the only shop in town that has done so on good faith, as other shops have lied, and miscommunicated their "efforts" to help this local creator. Charlie doesn't give it a second thought. Due to his nearly tireless efforts for the comic book community and the local community as well, Charlie's received a nomination for the Will Eisner Spirit of Comics Retailer Award in 2008 and has been featured in multiple local newspaper publications spotlighting his history in Tucson and his dedication to the "four color" world. Charlie's Comic Books is an amazing experience. The owner, Charlie, has a remarkable life story and has such an amazing level of comics knowledge. If you're not sure what you're looking for, his insight can lead you to some very cool selections. If he doesn't have what you want, he won't rest until he gets it for you. He knows just about everyone in the business and has great stories to share. He reads everything that comes through his store, so there is just a wonderful amount of knowledge to be gained simply by chatting with him when you pick up your comics. Perhaps best of all, he hosts monthly fundraisers for non-profits and celebrates local artists. This store is worth the trip and Charlie is as real as they come. He sold me my first Walking Dead comic, and every comic since. Amazing! 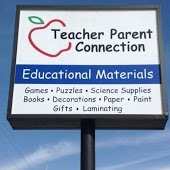 Great shop. Charlie knows his stuff inside and out and is always willing to take the time to help you find what you are looking for or make a recommendation to help you find your next favorite book. Charlie's comics is by far the best comic book store in town hands down! Charlie is very knowledgeable about every new issue and probably all the old ones too. He takes he job very serious and is always willing to give you his two sense about the issue your looking for. Its always a great time going into Charlie's comics.